Boplaas Cape Ports have received a perfect score of 100 points in an assessment by the SA Wine Index (SAWi), a rating system that identifies consistently top-performing wines from its evaluation of most important local and international competitions. The latest news reaffirms the long-held reputation of the Calitzdorp winery that is synonymous with world-class table wines from Portuguese varieties and Cape Port. Its two SAWi 100-pointers are the Boplaas Cape Tawny NV and the Boplaas Cape Vintage Reserve. 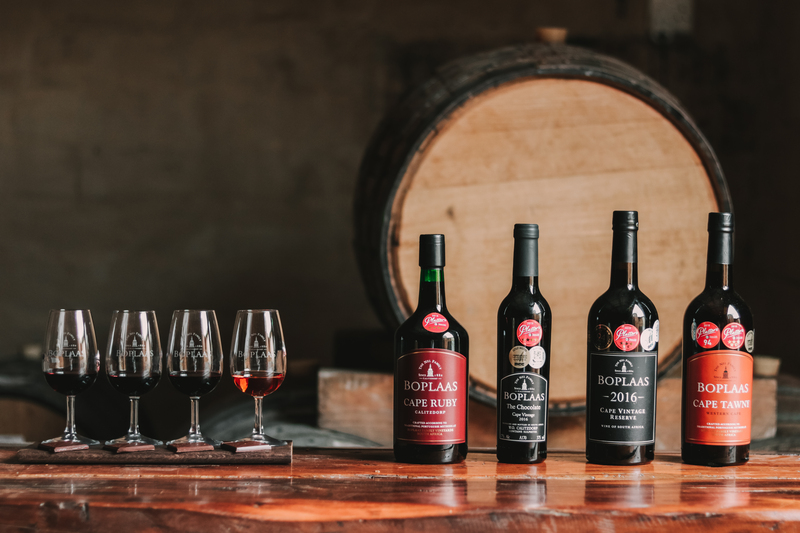 Together with the Boplaas Cape Tawny Vintners Reserve and the Boplaas Cape Vintage Ports, which received 98.8 and 95.8 respectively, they receive Platinum status. The Boplaas Cape Ruby Port scored 93.1, receiving a Grand Gold award. Using an “algorithm of excellence”, SAWi ratings identify consistently top-performing wines without being vintage specific by tracking, measuring and weighting performances across over 70 local and international competitions. Results based on this methodology shows which wines are consistently recognised by multiple judging panels for their top achievements, accentuating the pedigree of great achievers. Wines scoring over 96 points are classified by SAWi as masterpieces. Those rated 90-95 are denoted as “exceptionally outstanding … [and] of profound and complex character displaying all the attributes expected of a classic wine of its variety. Boplaas has a long record of outstanding achievement. 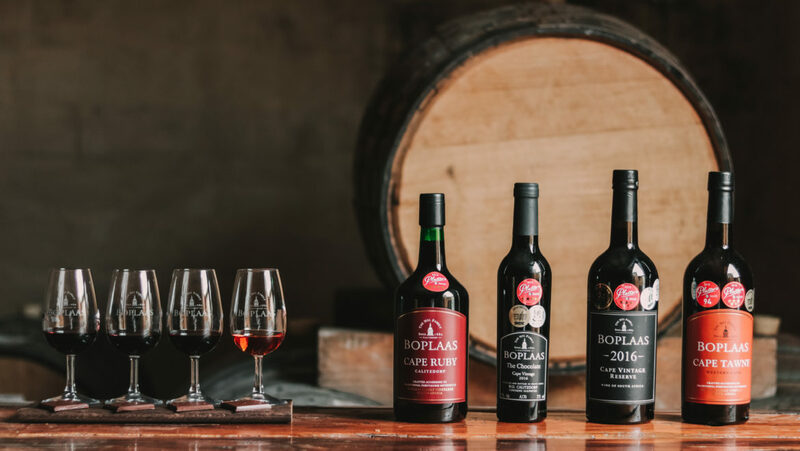 In 1985, the first year Boplaas produced a port made exclusively from Tinta Barocca in the traditional drier Portuguese style, it won a gold medal at the only exhibition at that time, the South African Young Wine Show. The very next year Boplaas won its first SA Champion Port trophy. In the early 90’s Boplaas differentiated the ports by class, namely Cape Ruby, Cape Tawny, Cape Vintage and Cape Vintage Reserve – and the rest of the SA producers followed suit. The winery’s vintage ports are crafted from Portuguese varieties Tinta Barocca, Touriga Nacional, Souzao and the Touriga Franca, using only the finest fruit of the vintage and vinified according to traditional techniques and intended to last for decades of enjoyment. The Boplaas Cape Tawny Port NV is the pinnacle of Boplaas’s pursuit of fortified wine perfection. It was made from only the finest fruit, from low-yielding vines. Once vinified, it was matured in barrel for more than a decade, blended and bottled in limited quantities. The wine is a golden, coppery-red colour that exudes an array of aromatics of bright wood spice, brandy-soaked marmalade and Eucalyptus honey. The palate is luscious, complex and lingering, with a hint of acidity and dry edge to the finish. For the Boplaas Cape Ruby Port NV, select Tinta Barocca and Touriga Nacional grapes are hand-harvested, fermented and fortified in small lagares (traditional open tanks), barrel matured in seasoned oak barrels for a period of at least 12 months, to craft a fruit-forward style. It is bright red-purple in colour with a crimson-tinged rim. The wine displays a bouquet of ripe plum, black hedgerow fruits, kirsch, sweet apricot, subtle spice and hints of fynbos. On the palate, it exhibits a deft balance between ripe fruit flavours, supple tannins, spices and hints of oak, making it a versatile, accessible and enjoyable style of Cape Port wine.